Following in the footsteps of Logitech, Razer and the turbulent Mad Catz, Turtle Beach is the latest in a long list of accessory companies seeking to improve its market share by way of acquisition. 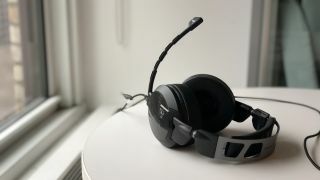 For a combined $19.2 million in cash, stock and earnout payments, the San Diego-based peripheral maker, known best for its cost-efficient gaming headsets, has announced its plans to buy German indie darling Roccat, according to an official press release. "The addition of Roccat to the Turtle Beach family is a huge win for gamers around the globe," said Turtle Beach CEO Juergen Stark of the acquisition. "This combination of our collective high-quality, innovative gaming headsets and ROCCAT’s keyboards, mice and other PC gaming accessories, plus an expanded global footprint, ensures gamers everywhere have the best tools to play and win on any platform." Business jargon aside, this is a wise move for Turtle Beach, who's doing well in North America and Europe but wants to gain momentum in Asia, where Roccat already has an established presence. Plus, while Turtle Beach has a decently solid assortment of headsets in its portfolio, Roccat is starting to break into the mainstream thanks to its critically-acclaimed Vulcan 120 AIMO keyboard. And although Roccat sells headsets of its own, the company will soon have access to Turtle Beach's renowned team of veteran sound engineers. Clearly, there's a mutual benefit to the purchase in question. It will be interesting to see how both Turtle Beach and Roccat evolve from their imminent collaboration. As of the past nine years, Turtle Beach has carried with it a whopping 40% share of the console headset market. Given Roccat's emerging prominence in the PC gaming space, its procurement of the budding hardware player may give it an edge outside its console comfort zone, beyond the lukewarm Atlas headset lineup.